A fiduciary duty is an obligation to act in the best interest of another party, whether an advisor, director or representative with access and control finances, a business, or personal information. This applies to many areas including business, real estate, and wills, trust and estate transactions. 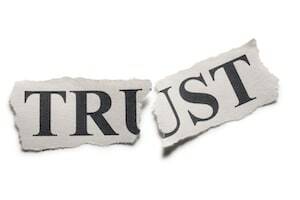 When a relationship with the client involves a special trust, confidence, and reliance on the fiduciary to exercise his or her discretion or expertise in acting for the client, a fiduciary obligation exists. This fiduciary owes his client’s a duty of utmost honesty, loyalty and fidelity. A fiduciary duty requires one to put his client’s interests before his or her own interests. A fiduciary duty requires the full written disclosure to the client of real and potential conflicts that may adversely affect their representation of the client. A fiduciary cannot take positions adverse to his or her client. A fiduciary duty often last longer than the attorney client relationship. For more than 20 years, our commercial litigation firm has represented Fortune 500 Companies, multinational corporations, professionals, entrepreneurs and small and medium sized businesses. We pride ourselves on not just being lawyers, but being lawyers and counselors to our clients. We also offer the highest level of personal attention and client service. If you or your business has breached your fiduciary responsibility to a client, or if your fiduciary responsibility has been breached by the negligence of someone representing you, contact the experienced Commercial Litigation Attorneys at KALIS, KLEIMAN & WOLFE, the South Florida-based law firm today at (954) 791-0477.